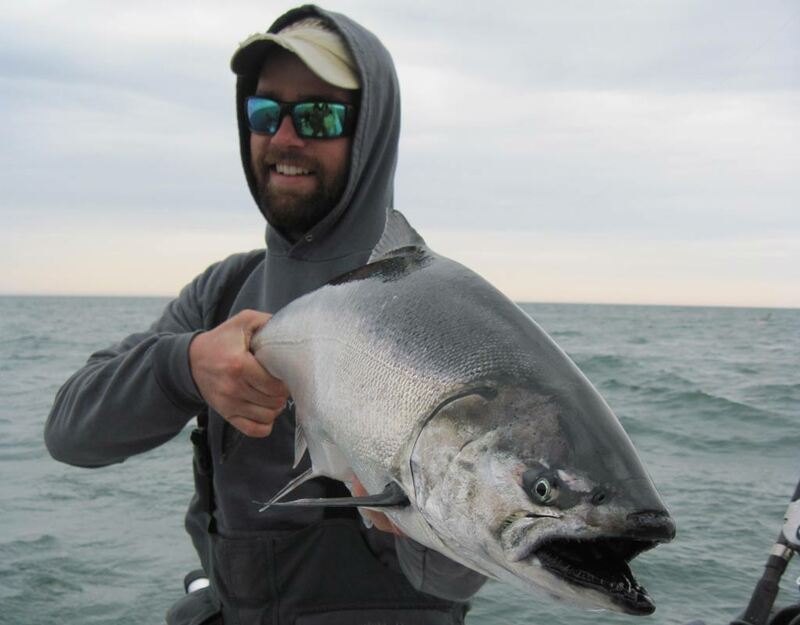 It’s no secret between avid Great Lakes anglers that nearby western Lake Ontario and the mighty Niagara River are top spots for fast and furious trophy fishing. And the best part is that it all starts in just a matter of weeks. Bills Hilts Jr., Director of Promotions for Niagara Tourism and Convention was asked for his best guesses for the upcoming fishing season. “The outlook appears to be better in 2016 than it was last year based on catch rates and fish availability,” said Hilts, basing his predictions on the last year’s results. “Last year we had a severe winter that seemed to scare some people off as far as the spring fishery on the Niagara Bar. 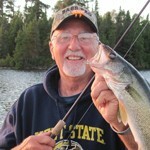 But the ice was all gone by the end of April and May which set itself up to be a very good spring for salmon,” he said. It was after May when the weather hampered fishing conditions into the summer as Lake Ontario suffered an excessive amount of easterly winds — affecting the stability of the lake. The shorter growing season also impacted the size of the salmon caught throughout the summer months. Looking ahead, the mild weather at the end of 2015 allowed warmer water temperatures, and fishing action, to continue into this year. The Niagara River, which stays open and flowing year around has been very good for trout so far – steelhead and lake trout – when the winds haven’t riled up the Lake Erie water above Niagara Falls, Hilts said. But like here in Ohio, the tributary fishing has been off because of the lack of precipitation which hampers fish, mostly steelhead trout, that would normally be wintering upstream. But as recent snows melt in places like Buffalo and the surround region, the runoff will help the level of water in the tributaries. That will pull more trout in, especially steelhead in the spring. “If the weather cooperates, it should be a good year,” predicts Hilts. “Pen rearing projects on the lake for salmon and trout are helping survival rates for salmon and trout both. Salmon stocked in pens are out-producing direct stocking by a 2 to 1 margin. In addition, we are seeing more natural reproduction of salmon in the lake. Recent studies have shown that roughly half of all the salmon in the lake now naturally reproduced. Changes being made at the Salmon River Fish Hatchery in Altmar, NY should also help with the production of the fish being stocked, as well as survival rates down the road. Lake Ontario produces most of the really large salmon caught around the Great Lakes. Salmon as large as thirty pounds are common in late summer and let it be known that a Chinook that size is a fight and a fish long remembered. Top summer ports are between the Niagara River and Rochester. Learn more online at niagara-usa.com, facebook at Niagara USA fishing, or call 877-FALLS US.